Anglers Lodge have gained a well deserved reputation among salmon anglers as the number one shop to call for advice about flies, lines and rods to use when fishing the River Tyne. Not only does the shop offer advice to local anglers, international customers telephone too. We contacted Anglers Lodge owner Sandra Hayman and asked her the all important fishing questions. What Flies would you recommend for the River Tyne? Size 11 & 9 are the most popular in singles and doubles. Ally Shrimp, Park, Munrow Killer, Willie Gunn, Flame Thrower, standard black or Silver Stoats Tale. This season we have sold smaller patterns due to the conditions on the Tyne. 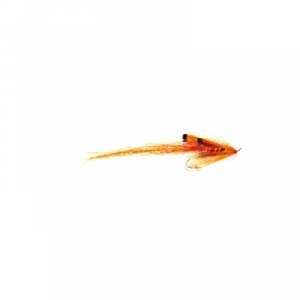 The shop stocks a large range of Fulling Mill flies, including their latest salmon collection. What length of rod would you recommend to fish the Tyne and why? A 14ft for the Tyne and a 13ft for the River Wear. 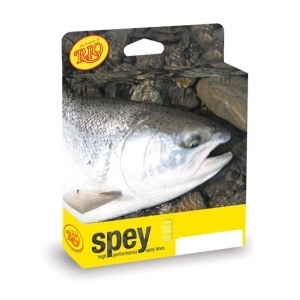 The Vision catapult salmon rods are a good all round salmon rod that perform well with both shooting heads and spey lines. Subject of lines whats the most popular? Rio AFS lines are the perfect match for the GT4 rods. We have Rio lines available in most sizes. If a customer is looking for a new line we recommend they bring their salmon rod with them to try the line, we have all our popular lines sitting on reels, ready to try. Customers can then try their rod with the new line on our lakes. We recently had a customer who said the rod he had purchased was terrible, I convinced him to bring the rod in to the shop and try a different line. He was very happy that he had bought the rod into the shop, as it was going to be sold on Ebay. You can’t beat trying the the lines before you buy, as everyone will cast a line slightly different. This weekends prospects for the River Tyne 18th October 2014. As Tyne levels continue to fluctuate over the weekend, prospects on the main Tyne and the North Tyne should improve from Saturday afternoon onwards, dependant on sediment dispersing. With no more heavy rain forecast the river should fine off nicely for next week. The fish counter has recorded over 31,000 upstream counts to date, this is expected to increase as levels improve for running fish.